BigBox 3.x continues accessibility improvements of the theme, the developer experience, and deepens 3rd party plugin integrations. Update app/integrations/woocommerce/template-hooks.php and app/integrations/woocommerce/template-hooks.php to adjust output order of product price, sale, stock, etc in WooCommerce product loop. Update resources/views/integrations/woocommerce/order/order-details.php to remove duplicate order notes. Hide “Sale Flash” by default. Now available in a Customizer setting. Hide “Inventory count” by default. Now available in a Customizer setting. Update default font weight to 400 (from 500). Remove attempts to style classic editor. Output all colors in inline CSS instead of external stylesheet. Support JSX transforms via wp.element. Additional support for Table block “Striped” styles. Additional support for CoBlocks plugin. Additional support for WooCommerce Product Blocks. Allow price, rating, stock information, sale flash, short description, and “more options” in the product catalog to be hidden via the Customizer. Use primary site color for input :focus border color. Add accessible labels for FacetWP checkbox and radio facets. Allow image lazyload script to load in the footer. Further WooCommerce Blocks style improvements. Ensure dynamic colors are applied to elements left out in 3.0.0 update. Ensure “No results found” shows when no results are available in FacetWP. Don’t attempt to open offcanvas drawers when using content skip links. Hide “First Page” and “Last Page” links in FacetWP pagination. Ensure :focus outline is visible on WooCommerce image gallery items. Button sizing between small, default, and large are more obvious. Heading and block spacing consistency. Only show Previous/Next pagination buttons on mobile devices. Update to the latest version from your WordPress dashboard or download manually from your account. BigBox 2.3.0 continues accessibility improvements of the theme, the developer experience, and deepens 3rd party plugin integrations. Ensure header allows dropdown facet types. Fallback to default shop sidebar on dynamic shop page mobile filters. Better tabbing order for shop filters and results. “Skip to content” and “Skip to result” skip links. Ensure all focus outlines are visible. Request a Google Fonts API key when generating font list. Allow integrations to define helper files to be autoloaded. Avoid error if offcanvas drawer source or target does not exist. BigBox 2.x brings the first breaking changes to the theme’s development. While the changes are minor, they are not backwards compatible. This allows for integrations, child themes, plugins, etc to filter the inline CSS on the default priority before the parent theme outputs it. WordPress 5.0.1, Gutenberg 4.7.1 compatibility, WooCommerce 3.5.2 compatibility. Default grid to be 80% page width at extra large device size. More precise em to px conversions for better font smoothing. Only output inline CSS for colors that have been customized. Move/modularize integration styles to their respective directories. Alignment of icons in menu items. Ensure no purchase button shows for external products. Remove fitvids in favor of Gutenberg responsive embeds. Ensure button color is accurately reflected. Base stylesheet enqueued with wp_enqueue_script priority 20 (was 10). Base stylesheet renamed to app.scss (was style.scss) — child themes referencing this need to update. WooCommerce Bookings custom styles support. Keyboard accessibility improvements for desktop and mobile menus. Do not output inline CSS for values that have not been customized. Icon menu alignment for icons of all sizes. Ensure external WooCommerce products are purchaseable. Ensure blockUI library uses accurate background color. Better separation of integration CSS. Move integration views to main views directory. Remove offcanvas drawer cache for better dynamic content support. Adjust shop sidebar widths to be smaller. Grouped product purchase form appearance. Continued improvements to the ever-changing Gutenberg plugin editor experience. As Gutenberg inches towards a final merge proposal in to WordPress core, theme integration/extendability is finally beginning to stabilize. The latest changes to BigBox ensure performant admin editor styles and continued tweaks to conform to the recommended theme support. There have been 6 minor updates (and a number of patches) to Gutenberg in the last couple of months. While technically the updates are minor, a lot of great improvements have been included! BigBox 1.7.0 includes a few great enhancements to further push the performance of the theme. BigBox is optimized for thousands of products﻿ its flexible and customizable nature means it’s very easy to tailor to theme to your needs. To show this we have put together a more stylized “Lifestyle” shop demo. This demo does not use any extra plugins, simply a bit of custom CSS code (shared below) to completely transform the look of BigBox. The custom homepage was created in Gutenberg and WooCommerce’s [products]﻿ shortcode block to bring attention to featured products on the homepage. 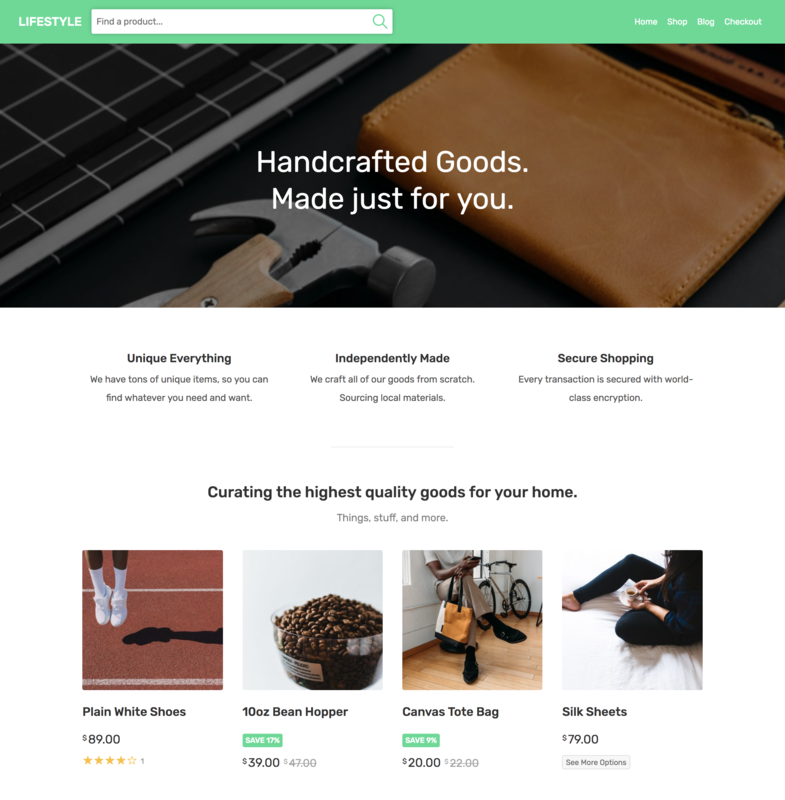 With a few color changes, typography updates, and a little additional CSS the BigBox WooCommerce theme can be completely transformed to fit your needs. Have you made something amazing with BigBox? We’d love to see it in the comments below! We’ve also tweaked our default demo to make it a little more generic, and added even more products! BigBox is constantly evolving and improving. Be sure you stay up to date and if you have any further suggestions please feel free to contact us! 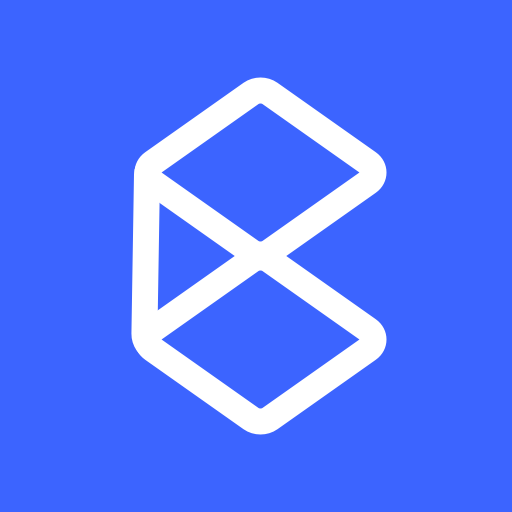 Don't miss out on great updates from BigBox!